In Space We Brawl is a twin stick shooter meets brawling game by developer Forge Reply. While the game supports up to 4 players competitively, two players can also form a team to go up against a team of two bots for some 2-player local co-op play. How well does the co-op work? Let’s find out. 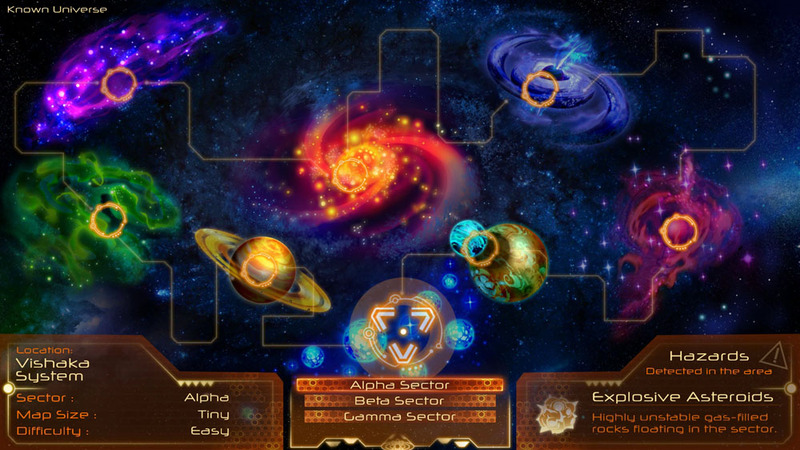 The game is divided into two sections: Arena and Challenges. Challenges serve as both the tutorial for the game as well as a standard challenge system (letter scores and best times are tracked). A freshly installed game will only start with two challenges unlocked, but upon beating a challenge, another challenge is unlocked. There are 21 challenges in total, with some of them unlocking new ships and new ship weapons. The meat of the game, however, is in the Arena section. There are three types of arena modes: Tournament, Championship, and Gladiator. 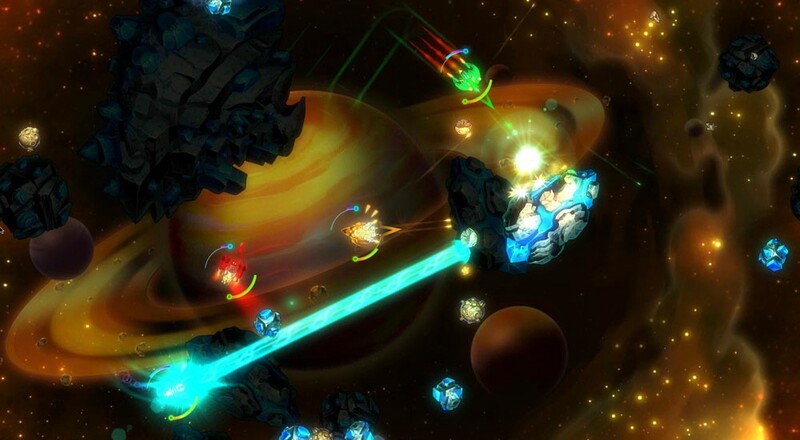 These modes are similar in that players will try to shoot enemy ships and kill them while dodging and shielding from attacks and space debris. At the end of the game, the player with the highest score wins. They differ in the ruleset that guides each mode. In Tournament, a specified number of matches are played (anywhere from 3-10). In Championship, ships will brawl until a player reaches a target score (anywhere from 3-60, increasing by intervals of 3). In Gladiator, players keep fighting until they run out of lives or time (both the number of lives and time limit is variable, with the number of lives ranging from 1 to “a lot,” which is at least 21 lives). A total of 11 ships and 11 weapons are in the game, with a fairly even split of ships/weapons being unlocked from the start and ships/weapons being unlockable through the challenge system. Ships vary in attributes such as speed, health, energy, etc. 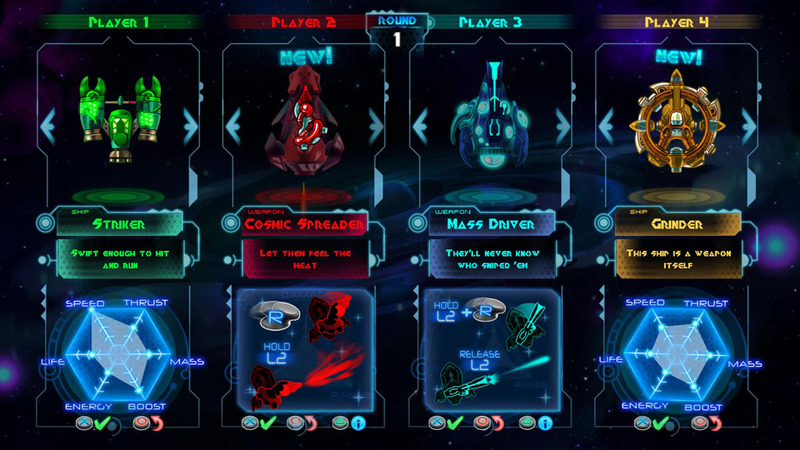 Upon choosing a ship, players can choose which weapon to use with that ship for the arena fight. When all ships have been selected, extra slots can be filled with bots of easy, medium, or hard difficulty. The last step is choosing which of 8 map locations the fight will take place. Each of these locations has a small, medium, and large map. Once all the settings are locked in, it’s time to brawl. Page created in 1.0559 seconds.